EVGA has launched its long-awaited first product into the PC mechanical gaming keyboard market. 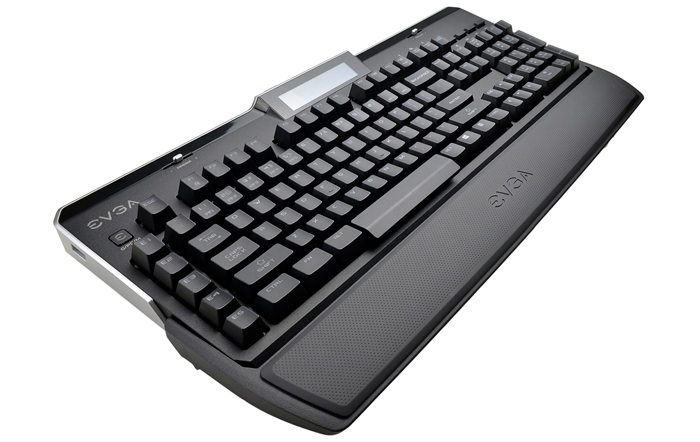 The EVGA Z10 keyboard was first seen as far back as CES 2015, at the firm's exhibition stand in Las Vegas. Understandably, the device has been tweaked somewhat since that time, in my brief look back over previous news regarding this keyboard I noticed that the volume wheel has been changed for a slider, and the Cherry keyswitches are now Kailh branded units. Claimed to have been built "with enthusiasts in mind," EVGA's new gaming keyboard is a full sized device with, left to right, a macro key column, the QWERTY array with F-keys above, a direction pad cluster with page navigation keys above, and a numpad. In addition to these mechanical keys, across the top of the keyboard there are the E-Key, brightness slider, volume slider, and media keys (play, stop, next etc). However, probably the most eye-catching aspect of the EVGA Z10 is its upper central LED display. The red LED screen is customisable from the EVGA Unleash software. 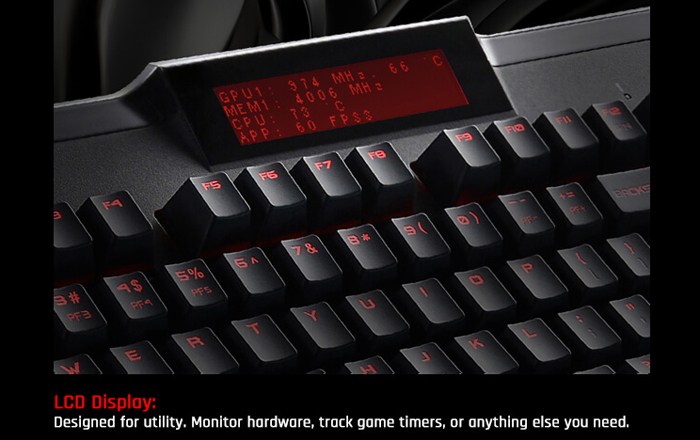 Use it to monitor Precision XOC vital system stats like GPU and memory clocks, component temperatures, and screen FPS, or for ELEET X stats, custom game timers and several other functions. Profiles for the screen can be saved and recalled via the software too. This isn't an RGB illuminated keyboard but features just red LEDs, however multiple zones and lighting behaviours are adjustable. The backlit keys use Kailh Brown or Blue style switches for standard and tactile feel respectively. 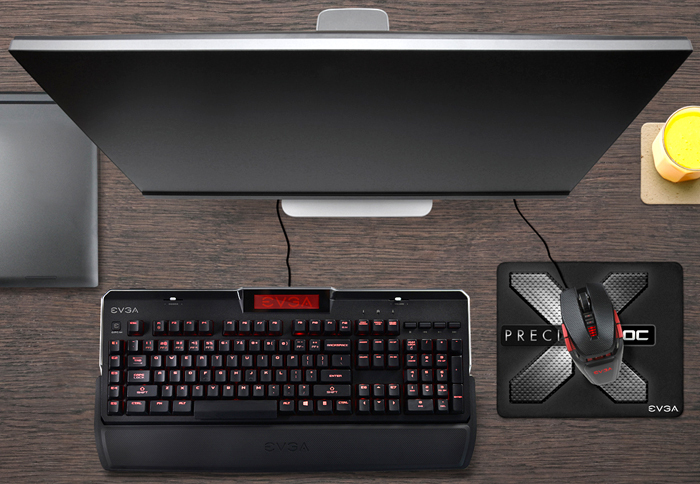 Other worthwhile features are; the 3-stage adjustable wrist rest; spring-loaded keyboard tripod tilting feet, 2x USB2.0 ports, and braided USB cable. The EVGA Z10 mechanical gaming keyboard seems to be available and orderable in either brown/blue key choice, in the US, priced at $149.99. In Europe the keyboards are described as "coming soon," with no opportunity to check the price.